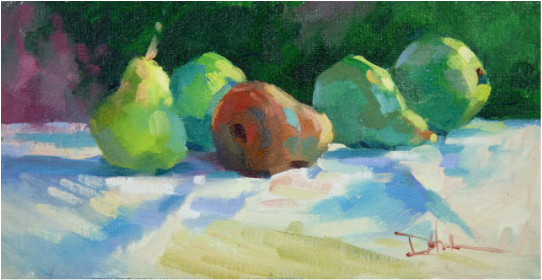 An intense falling sun on a summer evening and these fresh pears. Wonder who is paired with who? 6 x 12. Oil on canvas. Available.